DUBLIN, Calif. and NEW ORLEANS, Nov. 11, 2017 /PRNewswire/ -- ZEISS announced today the introduction to the US market of VERACITY™ Surgical, a powerful, intuitive cloud-based platform for cataract surgery planning, logistics, treatment, risk management and analysis. The VERACITY cataract surgery platform is the first application being introduced by the Medical Technology business group of ZEISS since the company's acquisition earlier this year of Veracity Innovations LLC, founded by leading ophthalmologists, Kerry D. Solomon, MD and Kyle Smith, MD. The platform, which helps cataract surgeons provide personalized technology-enabled patient care and excellent results, will be unveiled at the American Academy of Ophthalmology's (AAO) Annual Meeting in New Orleans from November 11-14, 2017. VERACITY Surgical generates comprehensive surgery plans by seamlessly integrating with Electronic Medical Records (EMR) systems and diagnostic devices. The platform synthesizes critical data and presents the data that is needed at each step of the procedure, helping cataract surgeons work more efficiently, reduce risks, and improve outcomes for their patients. 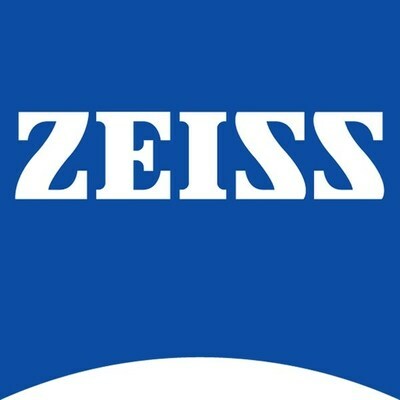 "We are excited to join forces with ZEISS. ZEISS has the vision and the expertise to bring this technology to the next level which may revolutionize cataract surgery as we know it," said Dr. Solomon. Named one of the "Top 50 Opinion Leaders in the Fields of Cataract and Refractive Surgery," Solomon co-founded Veracity Innovations to deliver an innovative software solution that empowers doctors to optimize and personalize patient eye care. With VERACITY Surgical, doctors can create customized, efficient, one-click plans for each patient based on a holistic view of the patient because the system can access relevant data from the patient's EMR. Vital information such as problem lists, medications, prior surgeries, and refractions are taken into consideration to individualize and optimize surgical planning. With this systematic thorough approach, practitioners can maximize patient outcomes and prevent errors. "ZEISS already provides advanced digital solutions that support doctors in their clinical decisions and provide for efficient data management," says Jim Mazzo, Global President Ophthalmic Devices at Carl Zeiss Meditec. "Now we are complementing this with VERACITY – a simple, cloud-based solution that provides cataract surgeons and their teams exactly the information they need at each step in the clinical process so they can work more efficiently, mitigate risks, and achieve the very best possible outcomes for their patients." "Digital technology is fundamentally changing our world and has a major impact in healthcare," says Dr. Ludwin Monz, President and CEO of Carl Zeiss Meditec. "Efficiently bringing together relevant information and making smart use of data in a secure way is reshaping how medicine is practiced today and is opening up new realms of possibility for advancing patient care." ZEISS also announced today the integration of VERACITY Surgical with another leading ophthalmology EMR system in the United States, EyeMD Electronic Medical Records (EMR). 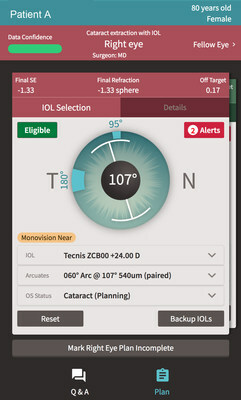 With one click in the VERACITY interface, a surgeon can access EMR data for precise IOL selection and convenient cataract surgical planning. Currently, VERACITY Surgical integrates with EyeMD EMR, Integrity EMR, and NextGen® Ambulatory EHR and with diagnostic devices, including ZEISS IOLMaster® 500/700 and Lenstar. According to Mazzo, the company will be integrating with more EMRs and diagnostic devices in the near future.